BROOKFIELD, Ill. (WLS) -- A good ol' fashioned gas price war on Saturday drew lines of vehicles in west suburban Brookfield at two competing stations. The owners of both the Shell and Clark stations at 31st and Maple said they would keep it going until their supplies were gone. 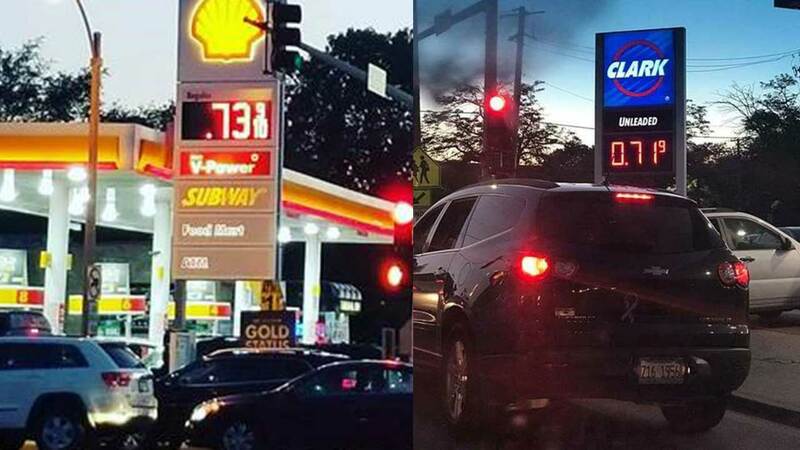 By 10:30 p.m., both stations were closed and the price of gas was posted as $2.49. However, earlier in the day, the Shell station cut its prices to 78 cents per gallon as part of a customer appreciation day special. The Clark station across the street decided to get into the fun and lowered their prices. At one point, both stations were at 70 cents. One gas station owner said that he was low on gas and would not continue the promotion on Sunday. The other owner said he is ready to continue the war.